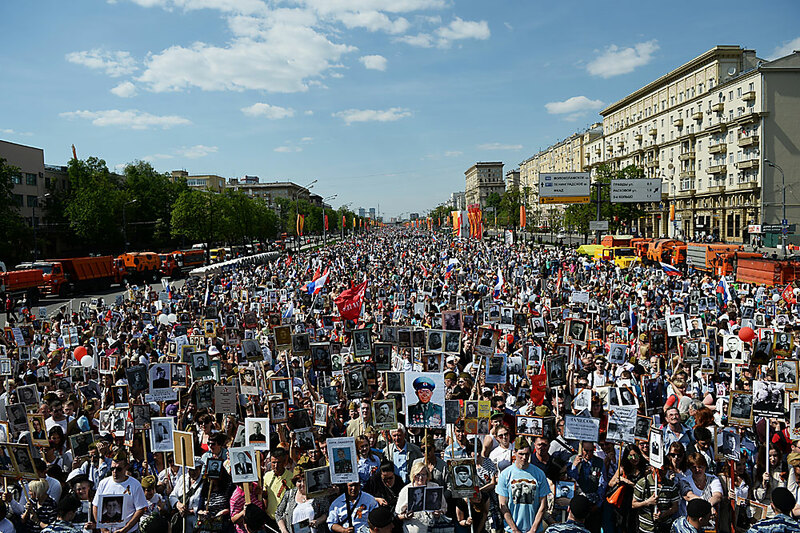 'Immortal Regiment' march in Moscow, May 9, 2016. Nearly 16 million people have taken part in the festivities dedicated to Victory Day throughout Russia, Russian Interior Ministry spokesperson Irina Volk told Interfax on May 9. "As of 8.30 p.m., nearly 16 million people have taken part in the celebrations dedicated to the 71st anniversary of the Victory throughout Russia," Volk said. She said that festive actions were continuing throughout the country. "Policemen jointly with guardsmen, private security agencies, members of volunteer popular squads and representatives of public organizations are ensuring public order and security of people," the Interior Ministry spokesperson said.